Although Buffalo Central Terminal is best known as a major New York Central passenger hub, it also served as a freight connection for railroads such as the Buffalo Creek, whose connection just east of the station is here seen from one of the Penn Central's remaining lake shore passenger runs. Formed in 1870 to provide access to Buffalo's Lake Erie waterfront, it was jointly owned by the Erie and the Lehigh Valley. The semaphore signal at right is a distant signal for FW Tower, where the Buffalo Creek crosses the Erie's line into Bison Yard and two Pennsylvania lines. 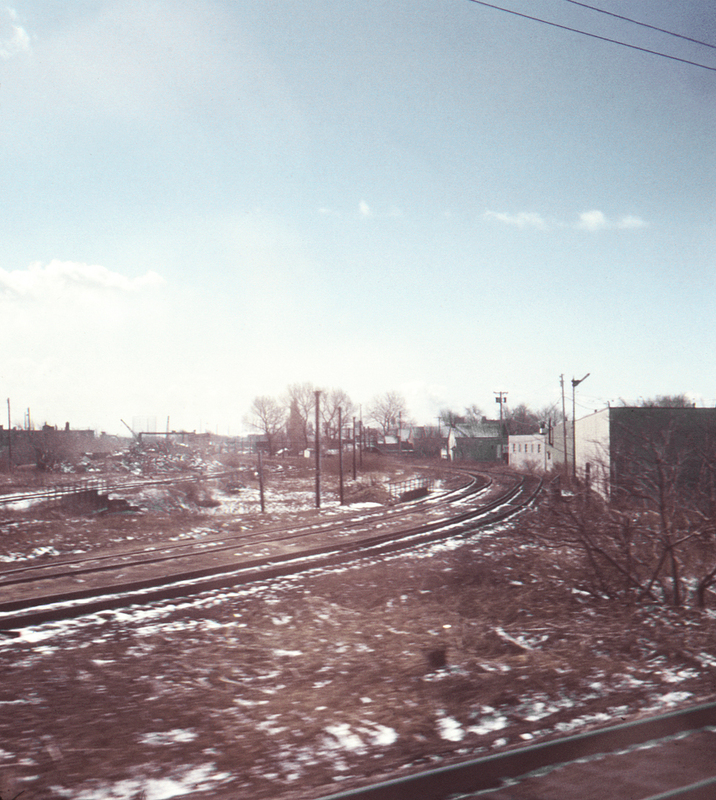 At the far left is a short New York Central connecting track to the Pennsylvania Railroad's Buffalo Line at FW Tower.